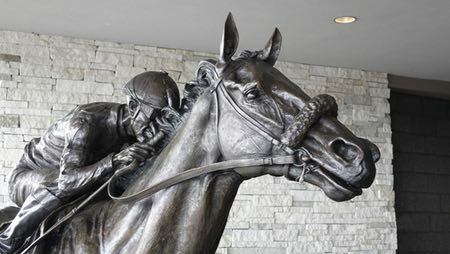 The only full-scale bronze of the 2015 Triple Crown-winning thoroughbred, the 7-foot sculpture also depicts jockey Victor Espinoza. Commissioned by Charles Cella, a former president of the Thoroughbred Racing Association, American Pharoah stands at Oaklawn Racing, site of two of the horse's victories during his record-setting season. Hot Springs, Arkansas. 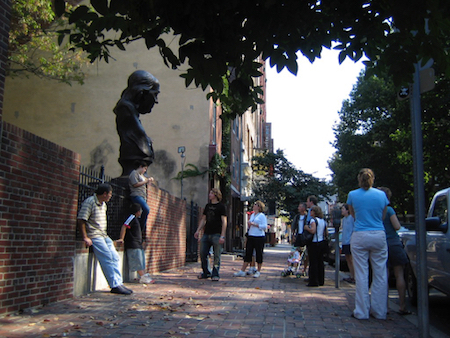 Bronze bust of Benjamin Franklin, textured with more than 1,000 keys donated by Philadelphia schoolchildren. Commissioned by the City of Philadelphia. Girard Fountain Park, Philadelphia, Pennsylvania. Life-sized bronze of the father of genetics. Commissioned by Villanova University. 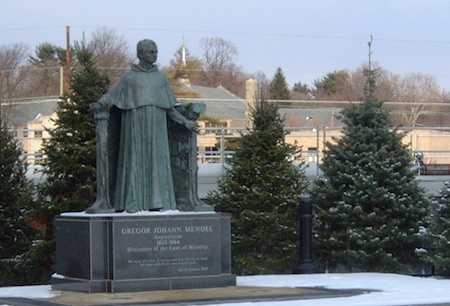 Villanova, Pennsylvania. Wondering how bronze casting works? Here's an animated Flash tutorial.